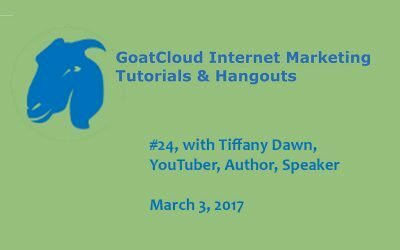 Join or listen to our free webinars, videos and podcast for Internet marketing, SEO and other online presence tips and tricks. 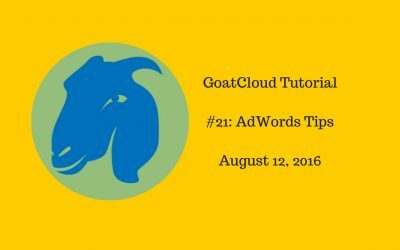 We provide a brief video tutorial on some essential AdWords tips. 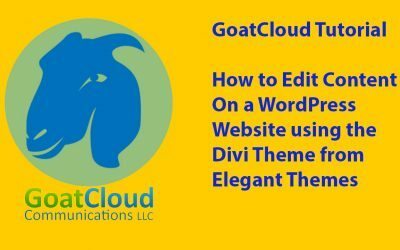 Video tutorial on how to use Elegant Themes’ Divi Builder (or theme) to modify text content on a WordPress website. 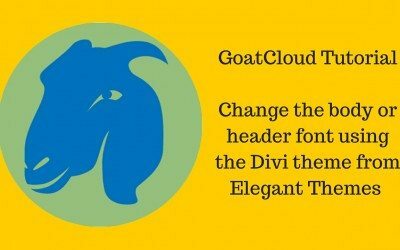 We show how to change the body or header font when using the Divi theme on a WordPress website. The steps are simple and few! We will discuss the important differences between these primary online advertising services. 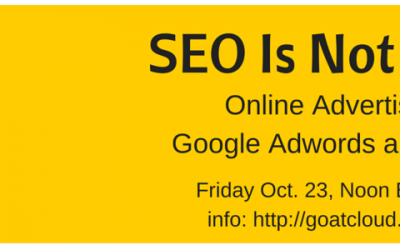 SEO is not enough to get found online. 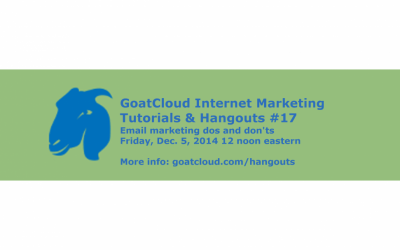 We will identify the dos and don’ts of marketing emails. Here’s an important don’t: Don’t use bad grammar or poor spelling. 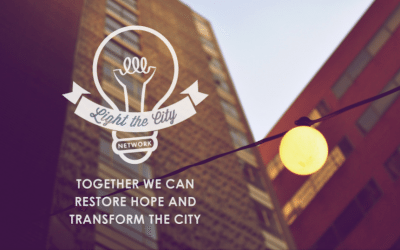 Learn the basics of how to create and maintain an effective online presence during this free hour-long webinar with GoatCloud and Light the City. 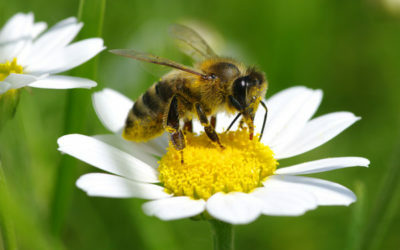 Who is visiting your website? Where do they go? Do they stay? 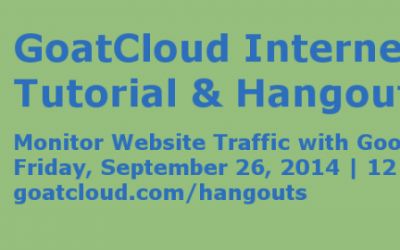 Learn the basics on how to monitor traffic to your website using the free Google Analytics.